There’s nothing more frustrating than watching your hard-earned paycheck hit your bank account, then quickly see it slip through your fingers as it goes to pay bills and other obligations. Well, actually, there’s one thing that’s more frustrating: watching your hard-earned paycheck hit your bank account, seeing it slip through your fingers to pay bills and other obligations, then watching what’s leftover get eaten up by banking fees. Talk about adding insult to injury! 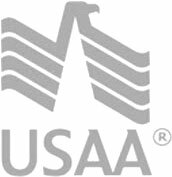 Most people know that many banks offer special deals on checking accounts to students and senior citizens, but did you know they often do the same for teachers, government works, and members of the military? Ask a teller at your bank if they offer any exclusive, fee-free accounts for your age or profession. You might be surprised at what you find out! One easy way to avoid monthly and annual fees on your checking account is to have your paycheck direct deposited into it. Most banks waive account maintenance fees for customers who have a certain dollar amount (usually around $2,000) direct deposited into their accounts each month. If your bank doesn’t offer this work-around, see if maintaining an average monthly minimum balance will do the trick. Another common way to get your checking account fees waived is to keep multiple accounts with one bank. For example, many banks will provide fee free checking if you keep both your checking and savings accounts with their institution. Another option might be to have a mortgage or car loan with the bank that provides your checking account. In either case, if your banks sees that it can rely on your business, it will be more willing to minimize your fees. If your current bank won’t budge on its checking account fees it might be time to move on to a new one. Many local credit unions offer fee-free checking accounts, so be sure to look into this option if you insist on a brick-and-mortar bank. If you don’t, moving to an online checking account could be a good choice for you. Nearly all online banks offer lower fees than their free-standing counterparts, so if interfacing with a teller isn’t important to you, this might be way to go. Regardless of which avenue you choose for steering clear of checking account fees, just be sure you take the steps to do so as soon as possible – you work hard for you money, so do everything you can to hold onto it!